This year Montblanc has added to its Star Legacy Nicolas Rieussec chronograph range with new models in stainless steel and red gold. Launched in 2008, the distinctive design has twin counters that form the distinguishing feature of the collection. Inspired by Rieussec’s 1821 chronograph, these twin discs function as minutes and seconds indications. In the latest iteration, the dial has redesigned with an hour circle at 12 o’ clock, and the 60-second and 30-minute chronograph counters domed titanium (either rhodium-coated or plated in red gold) discs on their respective sub dials. There is also a second time zone functionality, indicated by a skeletonised hand (blue for this stainless steel model) moving around a recessed circle with dot hour indicators, within the hour circle. Both new watches are 44.8cm with a thickness of 15.02mm, with a domed sapphire crystal above the dial. 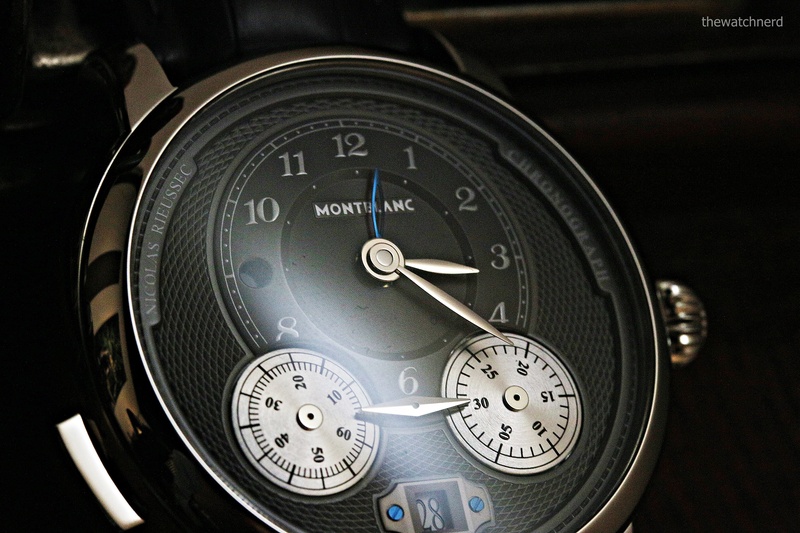 Whether stainless steel or red gold, the dials are dark anthracite grey barleycorn guilloché. Powering the watch is the automatic column-wheel monopusher chronograph Calibre MB R200, with a seventy-two power reserve. Whilst both of the metal variants share this movement, the rotors are plated to match the case metal. Both models come on a Grey Sfumato alligator skin strap from the Montblanc Pelletteria, with a triple-folding clasp in the stainless steel or red gold respectively. 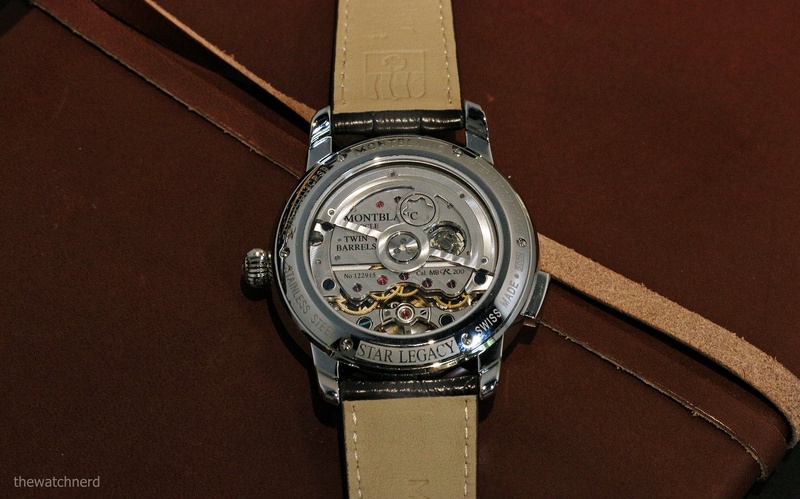 The RRPs are 8,135 CHF for the stainless steel model shown in this post, and 22,500 CHF for the same in red gold.